Binghamton Mayor Rich David at his watch party. “Four more years!” chanted the crowd gathered for Republican Mayor Rich David’s watch party at Terra Cotta Catering in downtown Binghamton. When the chairman of the Broome County Republicans announced the win, David took the stage to the song “Roar” by Katy Perry. David beat Democratic challenger Tarik Abdelazim. In Otsego County, Democrat Gary Herzig easily hung on to his seat. His challenger was a Republican write-in candidate. Elsewhere in the Southern Tier, Steuben County had two big mayoral races with no incumbents. Longtime mayor of Hornell Shawn Hogan decided not to run for re-election this time. There, the Republican, John Buckley beat a candidates from the Green Party and the Together Now Party. 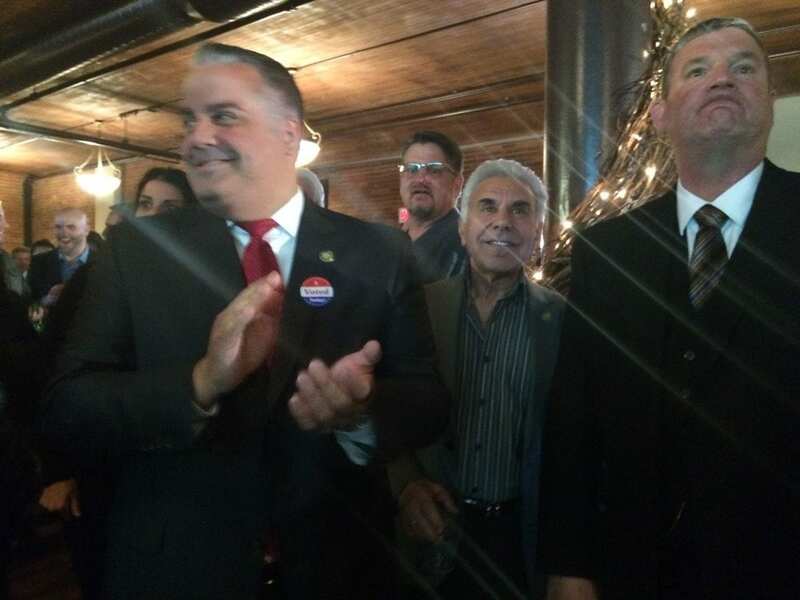 In Corning, the deputy mayor, Bill Boland, a Democrat won the race. Boland beat an independent candidate and the campaign manager for Rep. Tom Reed, Nicholas Weinstein, a Republican.